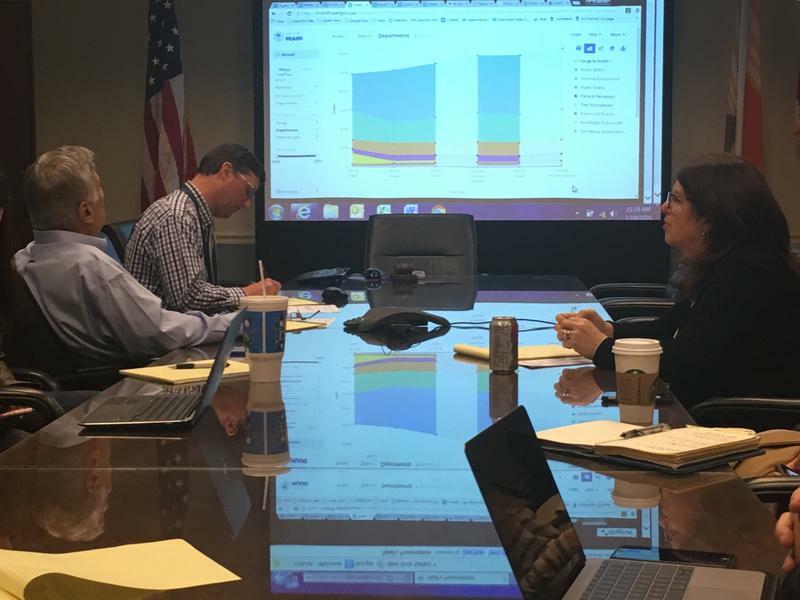 The North Florida Transportation Planning Organization is in the embryonic stages of a downtown test model meant to showcase the power of collaborative data. 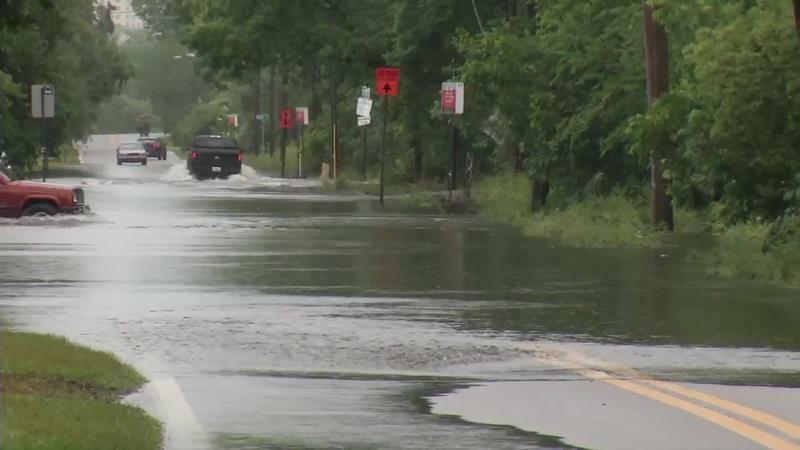 Jacksonville City Councilwoman Lori Boyer has proposed a bill to help alleviate flooding from McCoys Creek. 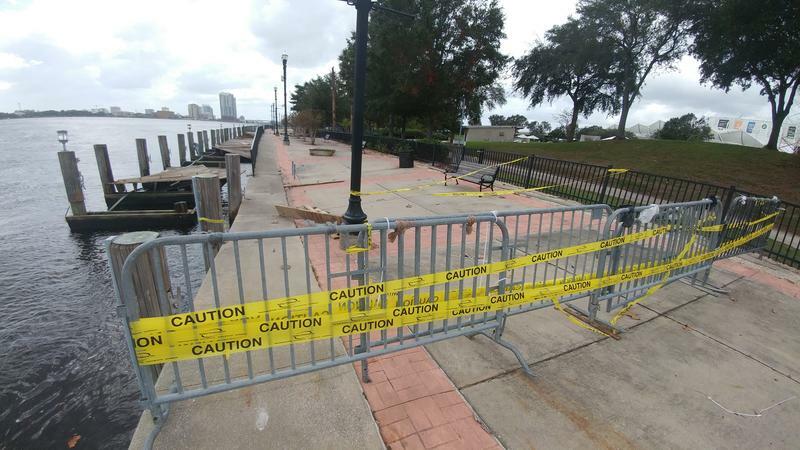 Jacksonville city leaders are inching closer to a plan to revitalize the downtown Riverwalks after Hurricane Irma dealt them quite a blow last fall. 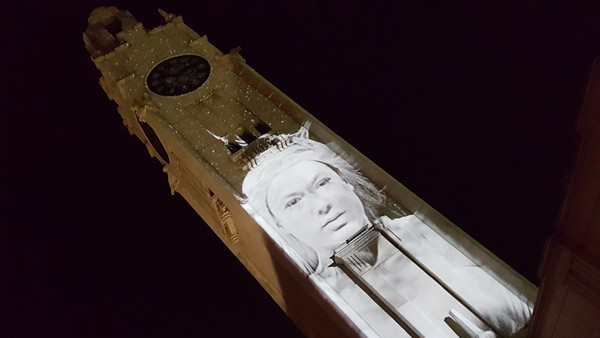 Jacksonville might have a few things to learn about revitalizing its downtown from one northern city with similar characteristics: Montreal. The Jaxson co-founder Ennis Davis saw several ideas in action on his recent trip there. Jacksonville is one step closer to temporarily halting certain kinds of block parties across the city. 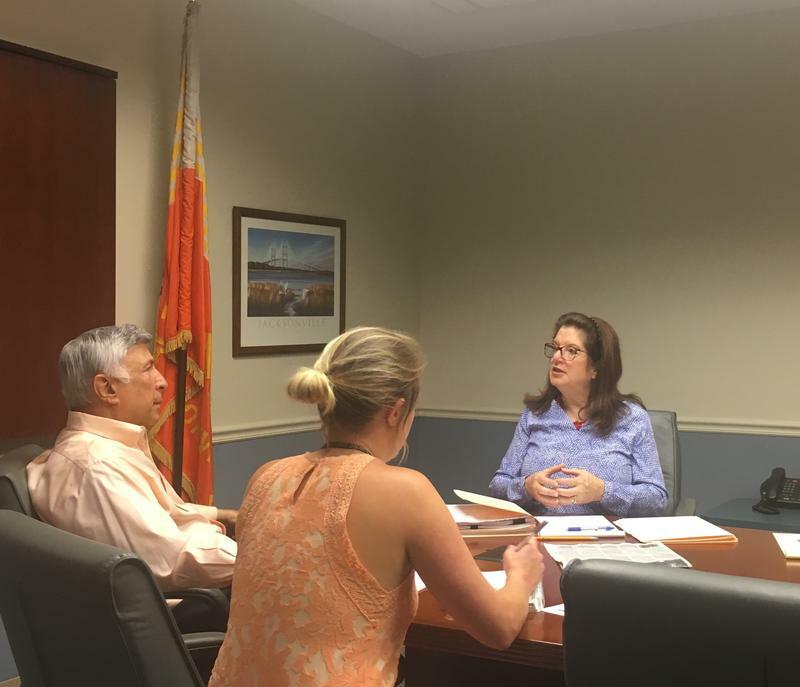 City leaders from law enforcement, the parks department and City Council hashed out ways to reform the permitting process Wednesday. Tuesday on “First Coast Connect” we discussed the future of Jacksonville’s waterways with City Council President Lori Boyer and Downtown Investment Authority CEO Aundra Wallace. Interfaith Coalition for Action, Reconciliation & Empowerment co-President Geneva Pittman, former ICARE President Pastor Bruce Havens and Folio Weekly editor Claire Goforth discussed a dispute between the organization and Mayor Lenny Curry, and local authors Brenda Jackson and V. Brooks Dunbar joined the show to talk about Saturday’s Jax Book Fest at the Main Library. 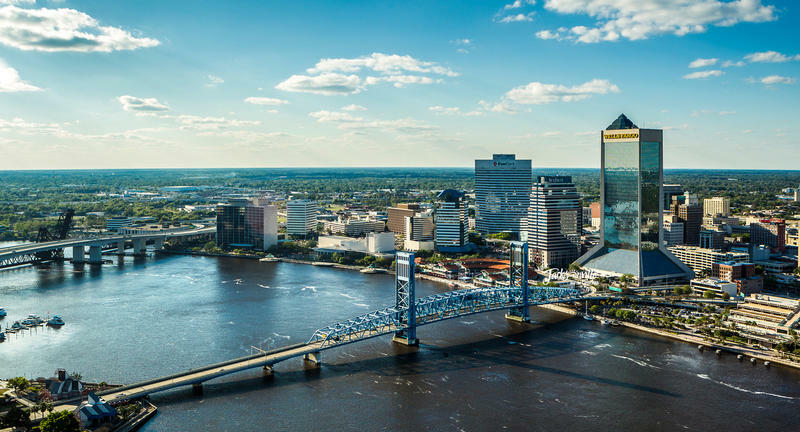 A proposed Jacksonville ordinance aimed at diversifying the city’s workforce Tuesday unanimously passed through its first committee, but not without significant skepticism from some Council members. 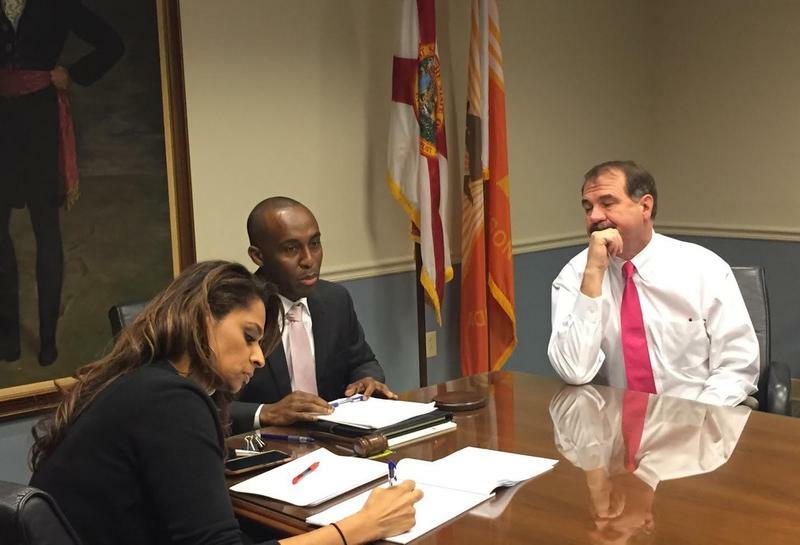 Councilman Garrett Dennis filed the bill in response to a continuing federal investigation into alleged workplace discrimination at public utility JEA. 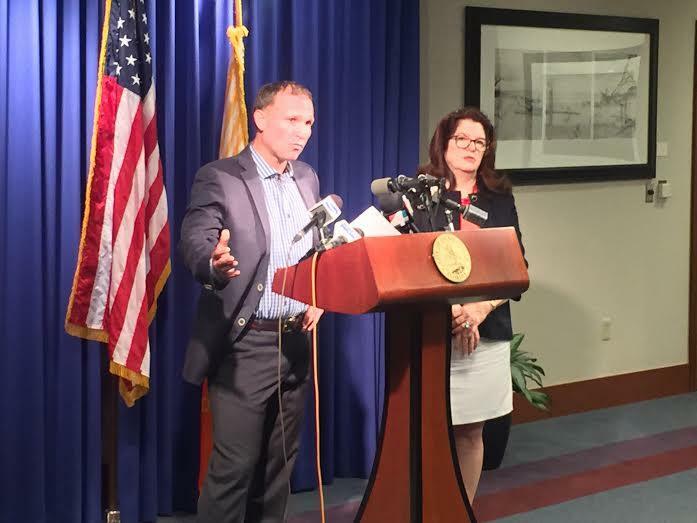 An angry Jacksonville Mayor Lenny Curry lashed out Monday against news media for reporting on the draft of a Sheriff’s Office task force report, which calls his pension tax plan “insufficient” to solve the city’s financial problems. The report recommends a property tax hike in addition to Curry’s suggested sales tax extension. New Jacksonville City Council President Lori Boyer wants the body to be more proactive about developing policy. So she’s restructuring City Council committees to ensure it. The Jacksonville City Council will more strictly enforce its ban on demonstrations at meetings. 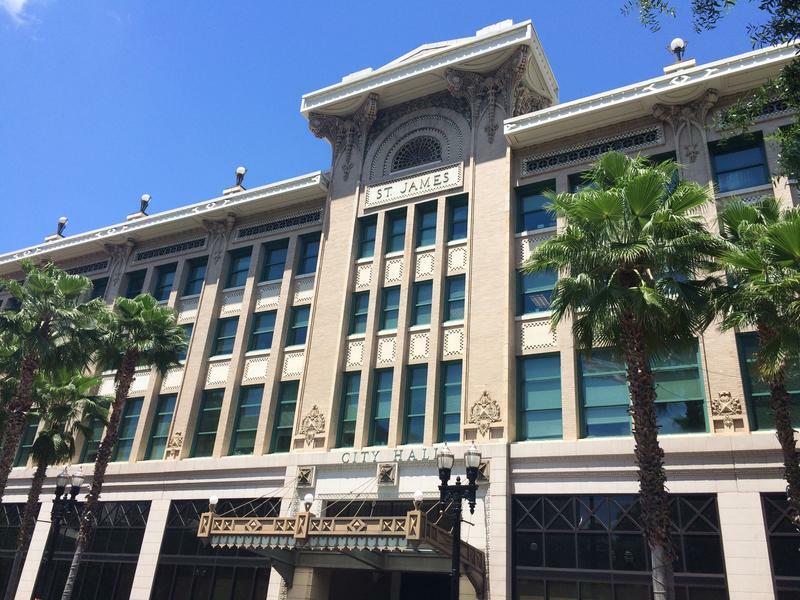 Two-term Jacksonville City Council member Lori Boyer takes the reins this month as that body’s new president, promising to push an ambitious agenda for the city. Boyer’s tenure comes amid big financial challenges for Jacksonville, as well as growing concerns about public safety and tensions between the black community and police. Lori Boyer joins us to discuss her priorities for the next year. As several Jacksonville City Council members face a lawsuit over text messages during a meeting, the Council is forming a committee to review texting policies. Councilman Sam Newby is heading the group. Jacksonville City Council members are looking at how to better track their own text messages for the public to access. 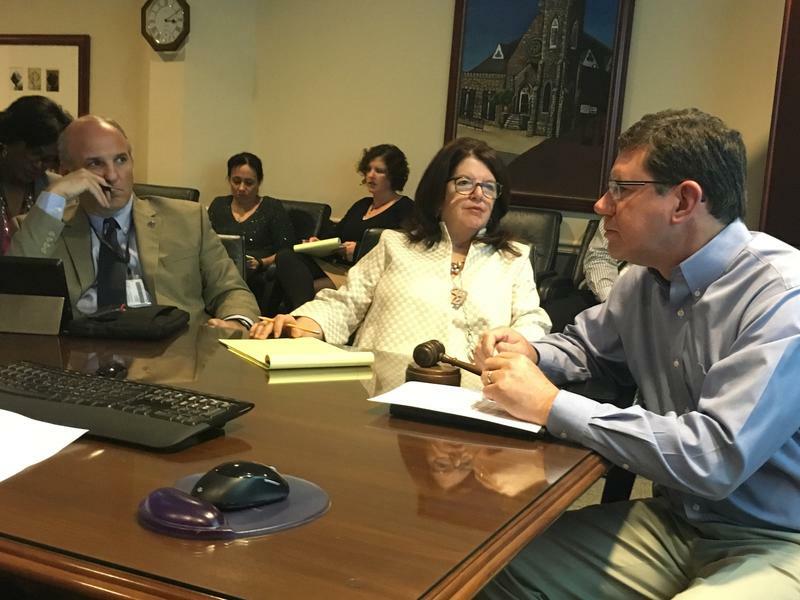 On Wednesday, Council members Lori Boyer, Garrett Dennis and President Greg Anderson met to discuss text-saving software options. The solution may involve all council texts automatically saving to a cloud. Jacksonville City Councilman Tommy Hazouri says he wants to increase the transparency of city contracts. He says the public should be able to follow what happens after the city awards a contractor a project. 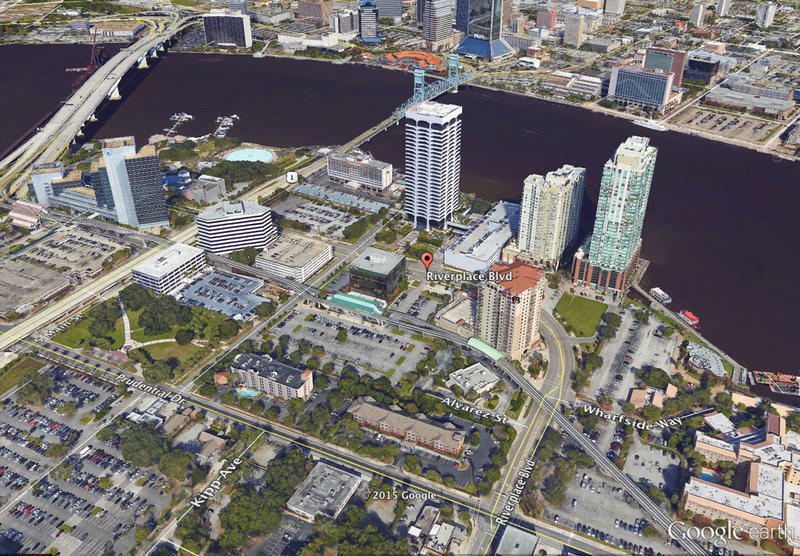 Big changes could be coming to the main thoroughfare on Jacksonville’s Southbank. City planners discussed the future of Riverplace Boulevard with the public at a meeting this week. Street parking on Riverplace Boulevard is sparse, and a lack of pedestrian walkways makes crossing the five lanes of traffic on foot a lot like a game of Frogger.